Here at Apache Trail Animal Hospital, we have a devoted team of highly trained staff members dedicated to care for your pet. Our team is lead by our Practice Manager, C.C. 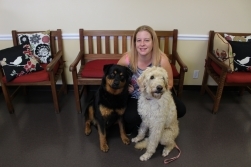 and Head Veterinary Technician, Sara G. Both are involved in every aspect of your pet’s healthcare and are available to answer any concerns you may have about our practice or your pet! Our faithful veterinary nursing team strives to help your pet feel comfortable in our practice and to bring you education for all aspects of your pet’s medical care, from heartworm and flea prevention, to nutrition, to behavior, to preventive care individualized to your pet. One of my favorite quotes is, “Now hear the sailor’s cry, smell the sea and feel the sky, let your soul and spirit fly, into the mystic”. My name is Jamie. I have been happily married to the man of my dreams James now for 5 years. We have a Dalmatian Pitbull mix named Max, and a gray and white kitten named Korin, who just recently joined our little family a couple months ago. My two biggest passions are being on the beach and taking care of animals. For as long as I can remember being involved in the veterinarian field has been a dream of mine. We hope to one day have our retirement home on the beach, but for now home is where we make it. Our loving team of veterinary kennel assistants is here to ensure your pet’s comfort during any length of stay with us at our practice. They are dedicated to providing personalized TLC to each patient in our hospital and treat your pet like one of their own. 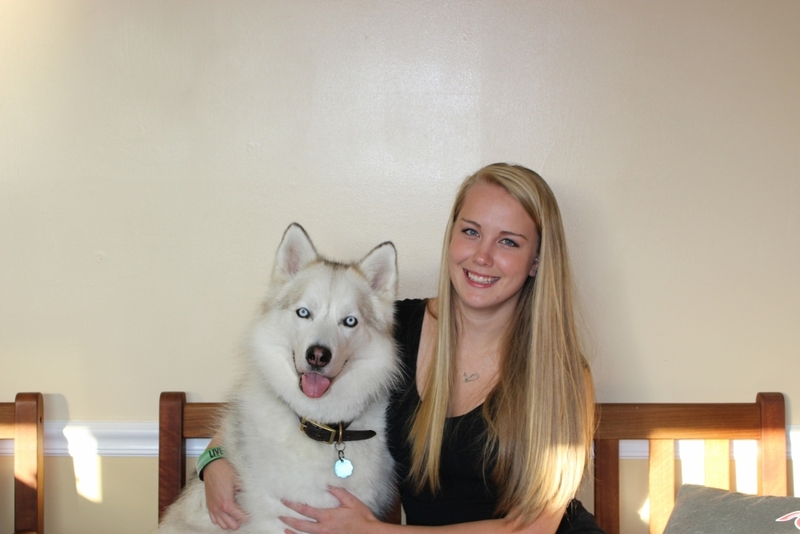 Our enthusiastic client care team is here to help you with every aspect of your pet’s visit to our practice. We strive to make every visit for every pet the most stress-free we can!